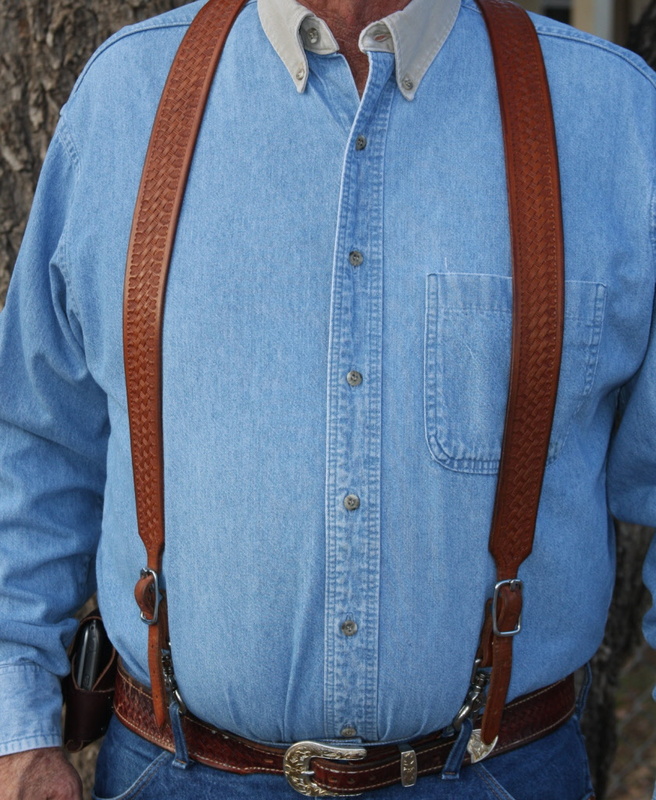 All suspenders are made from 9-10 oz American Tanned Leather. They have three scissor snaps that fasten to belt loops. Elastic band in back is approximately 13 1/2".